We craft videos that inspire and engage your audience. Unleash your brand’s full potential! We start by assessing your needs. Are you looking for a brand essence video that communicates who you are? Or are you launching a new product? From there, we develop a concept and a script. 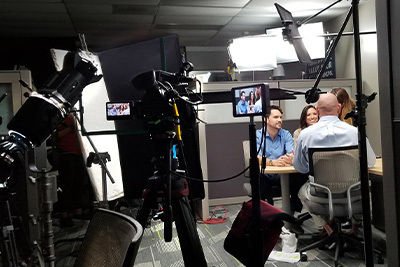 Our producers will help determine the moving parts that will make up the video, from scouting the locations to coordinating the crew and talent needed for your production. 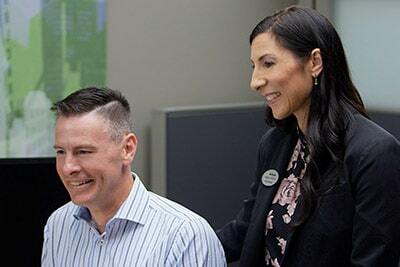 When we move into the editing suite, our post-production team tailors the finished product to be exactly what you need. From concept to screen, we strive to be Tampa’s premiere Video Production Company and Motion Graphic Design Firm. We have fully insured drone pilots with years of experience that are registered with the FAA behind the controls. Our creative team works directly with our pilots to create high definition aerial footage that is ready to exceed your expectations. Our latest and greatest. Check out the most recent work we’ve done for our clients! 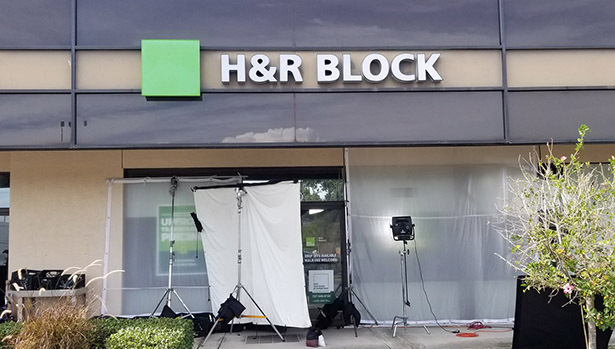 Although we are proud to have assisted H&R Block with various video projects and motion graphics throughout the past 10 years, we’re just as excited to work with them today. 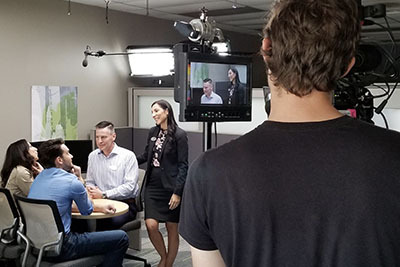 Recently, we worked together to create a large-scale national video campaign for the coming tax season. 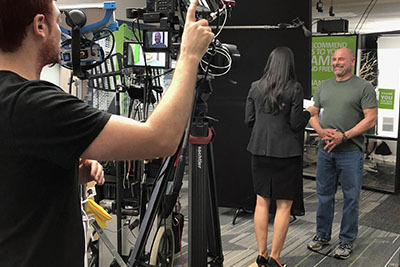 Check out a few of our behind-the-scenes photos and final product!